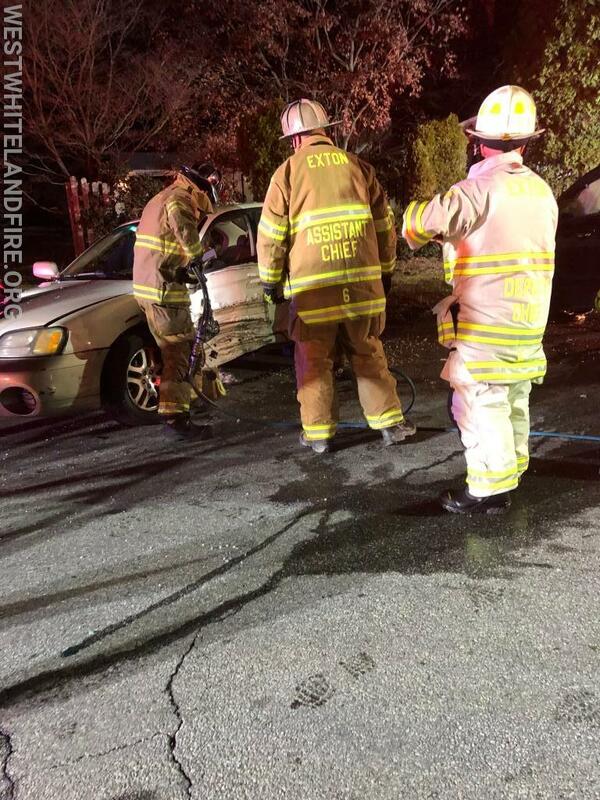 At 5:53 PM, the West Whiteland Fire Company was dispatched to an accident with entrapment at Boot Rd and Copeland Rd. Units arrived on scene and found the driver of one vehicle trapped. 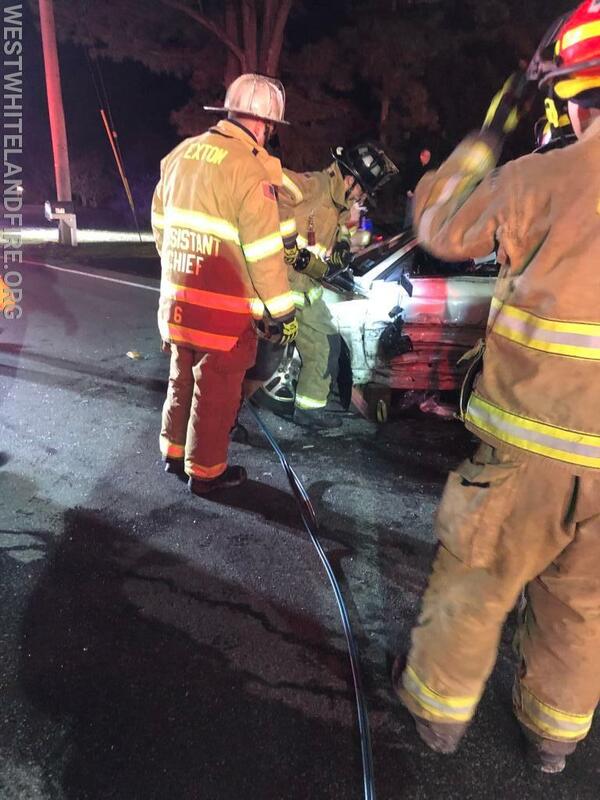 Rescue 6 went into service with the jaws of life to free the patient. Crews then assisted with patient packaging and removal. After returning to the station, crews began our weekly training at an acquired structure pulling different hose lines and advancing them into the structure. While wrapping up at training, crews were alerted to an electrical fire inside and checked the residence for any possible issues. 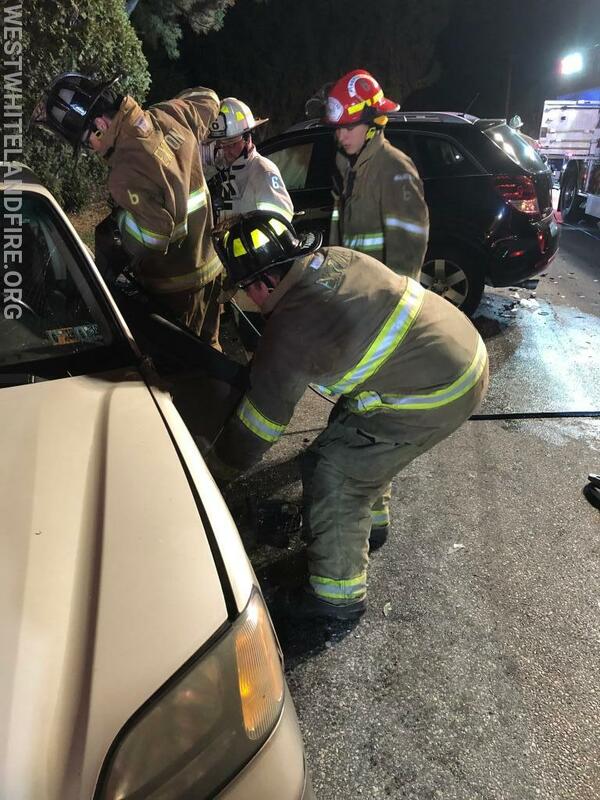 Another busy night for the members at Station 6!